Summer heat and humidity are a challenge for any home’s air conditioning system, so you should know how to care for your A/C unit when temperatures begin to climb. In 2012, Houston set a record for the number of 100-degree days, with a sweat-inducing 33 days hitting the century mark. That undersells the impact, too, because once humidity is factored in, heat indexes regularly climb above 110 during the hottest part of the year. 1. Schedule maintenance with a trusted A/C expert – Regular maintenance is the best way to keep an A/C unit operating efficiently. Homeowners should contact a reputable maintenance expert at least once a year. It’s recommended that homeowners do this prior to summer, as this will ensure the air conditioner is ready before temperatures become unbearable. Heat and humidity will force air conditioners to work hard, and this is when system inefficiencies will be noticed and increase energy bills. In addition to inspecting and repairing the compressor, the technician will identify any system inefficiencies that could be coming from the evaporator or the air ducts. A lot of energy can be lost through duct leaks, so if your electricity bills are unusually high, select a maintenance technician that is willing to inspect every part of the system. Regular maintenance not only improves system efficiency, but it also preserves the life of the system. Even high-quality air conditioners can fail years before they should if they are not maintained properly. Compared to the cost of air conditioner replacement, maintenance is inexpensive. 2. Inspect the home’s insulation – The home relies on insulation to keep the cool air in and the hot air out during the summer months. Damaged or aging insulation can drain the air conditioner and for your wallet. The areas to target are the attic and the coolant pipe outside the home. Attic insulation should be clean and free of gaps. Outside, the coolant pipe runs from the compressor to the evaporator inside the home. Because this pipe contains cold refrigerant, it is essential that it is insulated from the summer heat. Check for tears, punctures or disintegrating material. If any are present, the insulation should be replaced. 3. Inspect and clean the air conditioner’s coils – The evaporator and condenser both contain coils that are the heart of the system. The coils create the thermal gradient that allows for heat exchange, and dirt is their biggest enemy. Dirt clinging onto the coils prevents the movement of heat, so they should be kept as clean as possible. The cleaner the coils, the more efficient the air conditioner. If dirt and dust have been an issue in the past for the system, it’s likely that dirt will be an ongoing problem that must be regularly addressed. 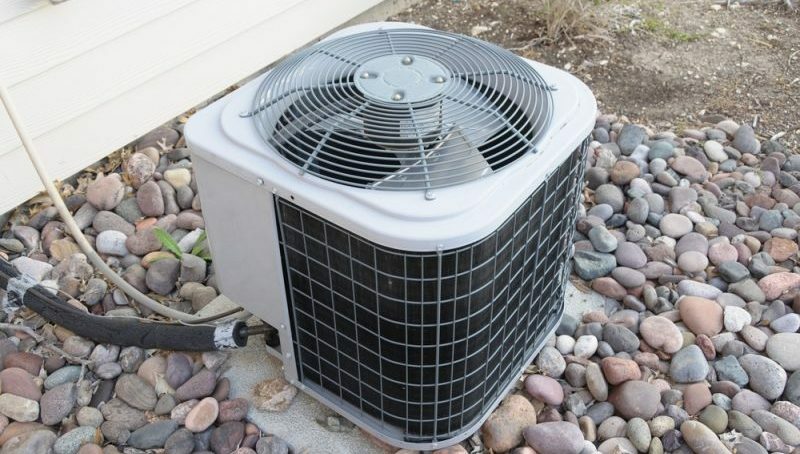 The coils are sturdy and can be cleaned with water, but this is best handled by a reputable HVAC repair service to avoid getting water on any electrical connections. 4. Replace the air filters regularly – Soiled air filters can make a negative impact on the air conditioner. This is especially true during high temperature days, when the air conditioner is constantly pushing air through the filters. There is no comprehensive rule on when to replace filters, but a good rule of thumb is to do it at least once a month. Replacing air filters regularly can reduce energy costs by up to 15 percent, and if a clogged filter is left in place, it will make the unit work harder, increasing wear and tear. This is the best way to ensure that the system will maintain excellent efficiency. 5. Don’t add to the air conditioner’s workload – Most of the wear that an A/C experiences occurs when the compressor cycles on or off. It is in the homeowner’s best interest to minimize cycling. In fact, contractors size air conditioners so that the system is just slightly undersized during the hottest days of the year. This ensures infrequent cycling and keeps the air conditioner on a little longer to reduce humidity. Set the thermostat a few degrees higher and keep doors and windows shut. If there are any rooms that aren’t in use, shut off the vents to those rooms and keep their doors shut. Don’t run the dishwasher drying cycle or the clothes dryer during the hottest part of the day. Shade the windows that face the afternoon sun. These are all easy ways to give your air conditioner a bit of a break. When the temperature climbs over 100 and heat indexes are close to 110, your air conditioner is putting in a lot of work to keep everything comfortable. Protect your investment by working with a reputable A/C repair service that can maintain the system year-round.